The Red Sea, the Med, Papua New Guinea (PNG), Belize and the Great Barrier Reef represents the best and most frequent destinations for Liveaboard diving. The majority of the Great Barrier Reef Liveaboard diving is centred around Cairns. Each of the popular destination brings something different into the mix of options. 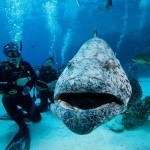 Of course we like to believe we are the best destination on that list and many scuba divers agree with us. Each of the major destinations and each Liveaboard has its own focus and market they are best for. Cairns market is perhaps the broadest, appealing to a wider range of divers and our appeal to non-divers is also an asset for our Liveaboard vacations when you are considering your Liveaboard destination. Cairns based Liveaboards cover the outer reef area or journey to the Ribbon Reefs. Lets just start with a comment that Cairns is not just a scuba diving destination. Queensland tourism boast of a wide range of options beyond that offered by the Great Barrier Reef and the Coral Sea. The mountains and the Tablelands offer the tourist the opportunity to experience nature at its best. The Tablelands feature amazing mountains, scenic views and caves and caverns. At 700 metres above sea level they make a great break from summer heat. The mountains have rainforest that are some of the most pristine in the world, and lets not forget the “Village in the Rainforest” Kuranda. This village owes its roots to the “hippie” movement of the 70s, and when that fad died out local artist filled in, soon it became the place to get away for the weekend, it never lost that small village appeal that made it popular in the first place. While the drive is spectacular and public transportation is available, many visitors come by way of the scenic railway or by the Sky cable across the rainforest. Taking the trip one way in each is a very popular way to see the area. For divers who have just a few days for a Liveaboard or has a non-diving companion the outer reef Liveaboards are a perfect choice. While a few of the Liveaboards are on a fixed scheduled, leaving the Port of Cairns on given days, many of the Liveaboards are designed for flexible arrivals and the number of days aboard. 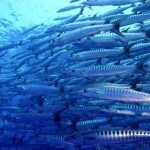 This is one thing that sets the Outer Reef Liveaboards away from all others worldwide. The outer reef dive sites are some of the best in the world and take from one and a half to two hours or slightly more to reach by fast boats. The modern day Liveaboard is built more for purpose and comfort then speed. So instead of returning to port every few days for more guest and supplies it is more economical for the Liveaboards to stay out as long as possible. 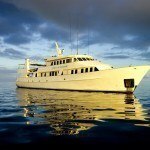 Liveaboards such as the MV Reef Encounter accomplishes extended stays on the reef with the assistance of a day dive boat, the MV Reef Experience in this case. 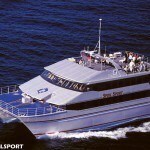 The MV Reef Experience brings supplies and guest out to the outer reefs and meets up with the MV Reef Encounter. This allows guest to stay the number of nights they wish and arriving on the day they choose. These Liveaboards are ideal for non-divers also, the experience of the Great Barrier Reef includes unsurpassed beauty above the water as well as below. The Ribbon Reefs is a 55 mile long string of reefs north of Cairns stretching to the area around Lizard Island. The Ribbons contain some of the best known and most desirable dive sites in the world. Except for dive boats from an exclusive resort on Lizard Island, and private vessels, the only way to experience these dive sites are by Liveaboards. Liveaboards leave from Cairns for a one week trip to the Ribbon Reefs, out to the Coral Sea and includes Lizard Island before returning. The two leading Liveaboards doing this trip are Mike Ball’s Spoilsport and the Spirit of Freedom. Each of these vessels have the option to break the trip in a three day Ribbon Reef segment or a four day trip that includes some sites on the Ribbon Reef and a trip to Osprey reef beyond the Great Barrier Reef in the Coral Sea. The Lizard island with its airstrip (kind of hard to really call it an airport) is the transfer point between the two segment. our two, three and four day liveaboard tours that depart daily from Cairns are suitable for beginning divers, resort divers, certified divers and snorkellers and our Coral Sea, Ribbon Reef tours are suitable for experienced scuba divers. 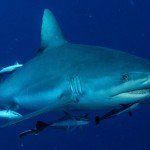 The selections of dive sites and the number of days being totally up to the guest give the dive Liveaboard from Cairns a different niche from those elsewhere in the world. Make a Liveaboard vacation from Cairns your first Liveaboard experience for a memory to last a lifetime.